This book follows Clay, a young web designer who ends up working at a bookshop (I'm sorry, I can't bring myself to say bookstore, it just feels wrong). 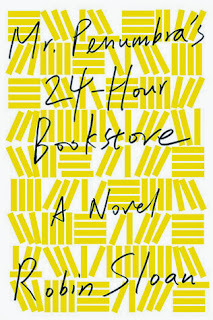 The bookshop is open 24 hours a day, which is a bit unusual to begin with, and it also has a huge section of weird books which a strange assortment of people come in and borrow. The books follows Clay and his attempts to figure out what is going on. I really enjoyed reading this and zoomed through it, but I think that I wanted the explanation for everything to be a little bit more.. interesting? I don't know. Also the WOW TECHNOLOGY IS AMAZING theme annoyed me a bit. Enjoyable though! It is a first novel though, so I'm looking forward to reading the next one! This is the first book in what will be.. a trilogy, I expect, seeing as it's YA. The book is set in a place obviously heavily inspired by imperial Russia, and follows a girl called Alina. She is an orphan, who grew up with a boy called Mal, who she is love with (obviously) but who doesn't notice her (obviously). Ravka, the country they live in, has a whole group of people called Grisha, who have special magical powers. It is discovered that Alina has one of these powers (obviously) so she gets taken away to learn how to use it.Ravka is also disconnected from the rest of the world by the Shadow Fold, a dangerous area full of darkness and monsters, and it may just be that Alina's power can get rid of the shadow fold forever (obviously). 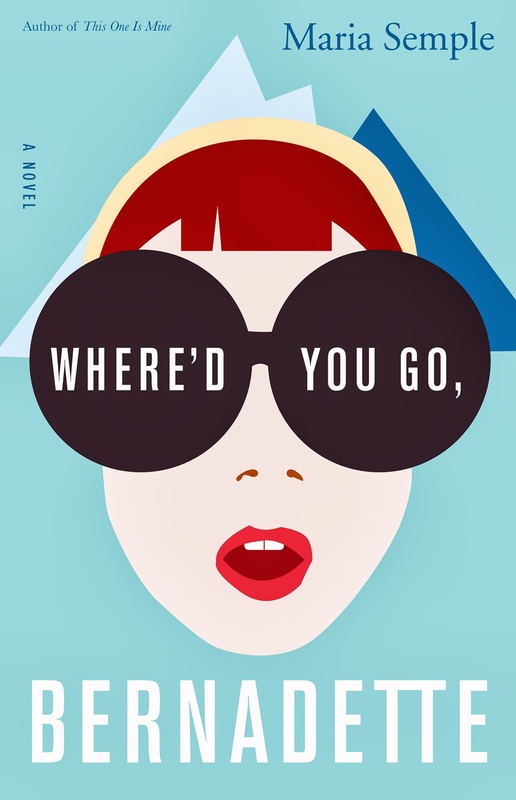 ...As the above synopsis suggests, this follows a LOT of YA tropes, but it's well done, and I was ridiculously grateful that it managed to avoid some of the most annoying ones, and that the main character was likeable! I bought the second book immediately after finishing this one, so that shows how much I enjoyed it. A word of warning - if you know anything about Russia the setting may annoy you (I've read several really annoyed reviews talking about how the names etc were wrong), but I don't really so it didn't bother me. But I can understand, as anything based on Japan or Britain that got loads of stuff wrong would annoy me too. If you're the kind of person who doesn't get annoyed by that kind of thing who also likes YA, I fully recommend it! 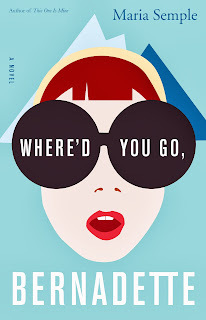 I really REALLY enjoyed this, but all I would want to say about it has been said elsewhere, so go read that instead! A few more posts and I might actually catch up! 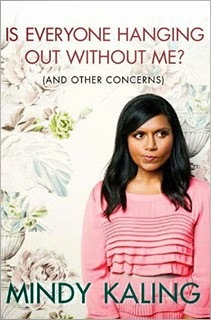 I did like Mindy's book, but I was definitely a bit like 'Hmmm... I'm not sure I agree with you about everything' which is FINE, but just meant that I wasn't like OMG MINDY FOREVS. Although I still like her plenty! I kind of prefer Bossypants, if the two are even comparable, so you should definitely read that if you haven't already! Yeah, that's how I felt too. Which is sad, because I want to read something and go YES EXACTLY!!! And then fall asleep hugging my book. Hehe. Great micro reviews! Those are sometimes the best because then you can freely share 1 or 2 things you got from it and move on without having to 'craft' a long review. 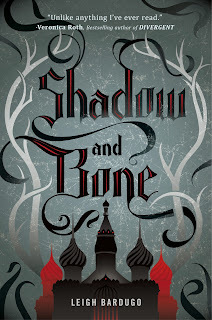 I actually won a copy of Shadow and Bone from Goodreads but didn't get around to reading it (bad reviewer etiquette, I know). I'll definitely have to read it now! Hehe, I don't think I've crafted anything that I've written on here... maybe I should start doing that! I hope you enjoy Shadow and Bone! I'm looking forward to reading the next one in the series (but I'm kind of holding back a bit, as I know that I'm going to want to read the next one once I'm finished, but I don't think the third book has even been written yet).